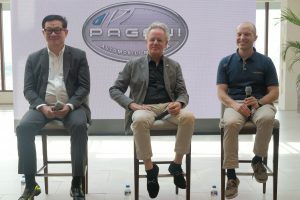 A week ago, our friends at BAIC Philippines were generous enough to lend the BJ20 – one of the most attractive sports utility vehicle (SUV) crossovers in the local market today. While driving it around metropolis, I have noticed that other motorists are more distracted than ever before as they struggle to keep their eyes on the road while staring at the car I was driving. Yes, folks, the BJ20 was a real head-turner. With its sleek design and powerful engine, driving it along the streets of Metro Manila would surely make you the envy of other drivers. But what is the BJ20? 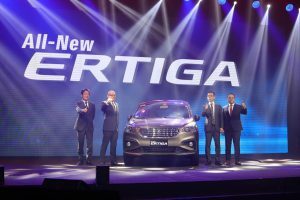 Apart from being a China-made car, BAIC Philippines describes it as a renegade crossover. The BJ20 was launched globally and presented to the public in August 2016. It boasts a boxy and ruggedly lived-in look. 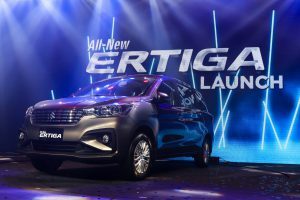 It is front-wheel-drive (FWD), and powered by a Euro5-compliant, turbocharged 1.5-liter engine that comes with an advanced variable-valve-timing (VVT). BAIC Philippines stated that since its engine is turbocharged, it is fuel-efficient and powerful. But let me set aside these attributes and allow me to share our experience while driving the BJ20. My OnPatrolPH partner, Ricky Velasco, and I decided to take the BJ20 for a spin on February 5. Incidentally, it was the celebration of the Chinese New Year. And yes, it was a holiday! 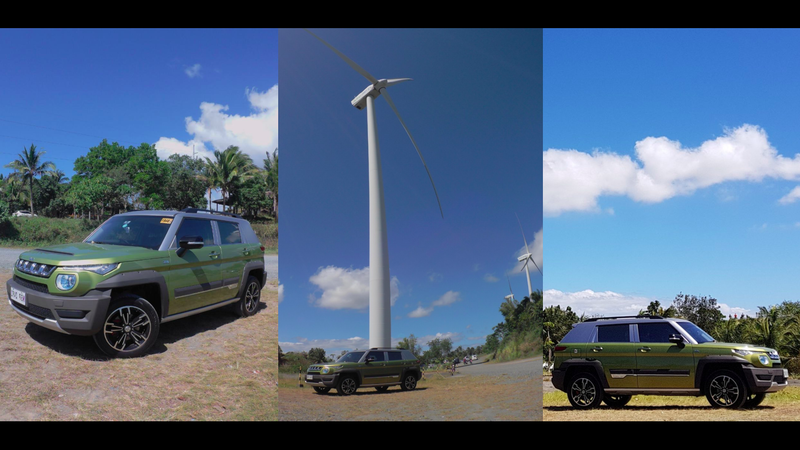 Instead of our usual drive of going North or South, we decided to go East for a change and went to the windmill farm in Pililla, Rizal. The road going to the windmill farm was long and winding but expectedly, the BJ20 surpassed and succeeded any insurmountable and unforeseeable obstacles we encountered. The car accelerates smoothly and silently up to highway speeds with about as much gusto as you would get from one of the turbocharged gas engines that are under the hood of a growing percentage of compact SUVs. It is quick and fast but it does not overwhelm your passengers. The BJ20 is also easy to drive. The light-effort steering feels natural when changing lanes and making turns. The suspension tuning delivers a controlled ride, and while it is on the firm side it did not feel harsh. Let me talk about the BJ20’s attractive look. It may be one of the most affordable crossovers, but the car speaks nothing but luxury. Its beautifully crafted exterior equates to the fancy and luxurious features it has in its interiors. With panoramic roof that lets sunlight and fresh air in when driving – creating a romantic atmosphere, a push-start ignition, a large touchscreen display, the BJ20 is certainly one of the cars of your dreams. Now, with all these goodies and elegant engineering, the BJ20 is being offered in two variants: The 1.5L Turbo CVT standard (P1,148,000) and the 1.5L Turbo CVT luxury edition (P1,288,000). Many have claimed that anything made in China is reverse engineered, copied and poor innovation. But contrary to popular belief, Chinese firms these days are more and more focused on producing valuable and useful products, creating and developing world-renowned brands and using sophisticated technology. Though not true of every factory in China, the country’s manufacturing industry as a whole has certainly made significant and progressive strides in recent years. It may interest you to know that BAIC – opened shop in the Philippines in 2014 – is the fourth-largest auto group in China. The company is based in Beijing. Published reports have earlier stated that the BAIC Group was ranked 124th on the Fortune Global 500 list, with an operating income of $69.6 billion. Question: Will the BJ20’s elegant engineering and high-end features be enough to attract consumer interest amid high fuel prices and a shift in preference to economy cars? We will soon find out.